The demand for the bubbly wine has skyrocketed in recent years. This might not seem like something overly significant, but the rate at which this is draining the soil of northeastern Italy’s vineyards certainly is. A study released on January 10 revealed that more than 400 million bottles are produced each year. 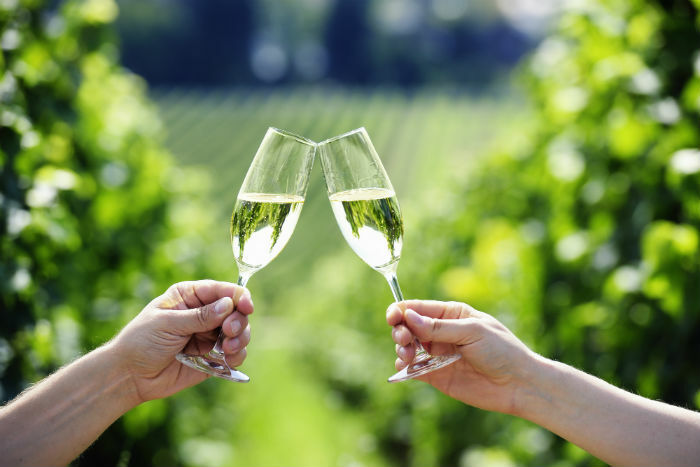 This makes Prosecco the wine with the fastest growing demand on the world market. The surrounding soil is sapped at an alarming rate because of this. Even vineyards in Germany have reported high rates of soil loss due to the recent rise in demand. That soil erosion might not be a bad thing, but it is worrisome and needs to be tracked. The issue is that the amounts of soil being sapped in Italy are not sustainable. If too much earth is washed away, the future of Italy’s vineyards might come into question. Just these regions in Italy are responsible for the production of more than 90 million bottles of Prosecco per year. A team of researchers from Italy concluded that the current production rates of Prosecco are responsible for more than 70 percent of the total erosion of soil in this part of Italy. This was done by creating a computer simulation using 10 years’ worth of rainfall data and land characteristics. Those results were then pitted against average annual prosecco sales to determine the yearly footprint. The numbers were staggering. Each bottle was responsible for the erosion of 4.4 kilograms of soil. One solution to this problem is that the vineyards leave patches of grass between the rows of wines. Computer simulations showed that this might reduce the erosion by as much as fifty percent. Planting hedges or other vegetation is another way to stop the earth from being washed away. Nature-based solutions are the best and only form of action that needs to be taken in these kinds of situations.